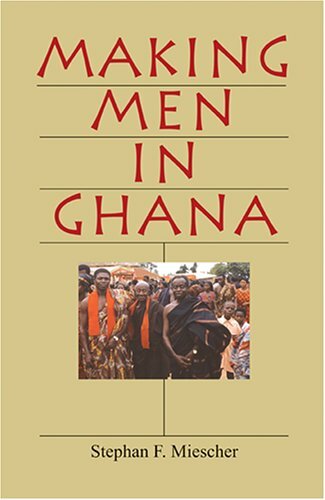 By featuring the life histories of eight senior men, Making Men in Ghana explores the changing meaning of becoming a man in modern Africa. Stephan F. Miescher concentrates on the ideals and expectations that formed around men who were prominent in their communities when Ghana became an independent nation. Miescher shows how they negotiated complex social and economic transformations and how they dealt with their mounting obligations and responsibilities as leaders in their kinship groups, churches, and schools. Not only were notions about men and masculinity shaped by community standards, but they were strongly influenced by imported standards that came from missionaries and other colonial officials. As he recounts the life histories of these men, Miescher reveals that the passage to manhood -- and a position of power, seniority, authority, and leadership -- was not always welcome or easy. As an important foil for studies on women and femininity, this groundbreaking book not only explores masculinity and ideals of male behavior, but offers a fresh perspective on African men in a century of change.